Extremely obese people are needing a far higher dose of radiation during X-ray examinations than people of normal weight – increasing their risk of cancer, new research has shown. A study of 630 severely obese patients, who had undergone surgery for weight loss, found they all received much higher doses of radiation during X-ray than normal weight people. This was due to the increased amount of tissue to be imaged, the researchers said. They concluded that the overall risk of cancer caused by the extra radiation was more than double (153%) that of normal-weight people undergoing an X-ray. However, the study authors stressed that the risk of cancer from an X-ray is low and they are recognised as saving countless lives by detecting abnormalities in the body. In 2015/2016, 22.6 million X-ray procedures were carried out in England, with up to 280 cancers that may have been related to an X-ray-related radiation dose. Between 2007 and 2015 medics at the University of Exeter and Musgrove Park Hospital in Taunton examined patients with a BMI of up to 50. They had all undergone procedures such as the fitting of gastric bands, gastric sleeves or gastric bypasses at Musgrove Park Hospital, a national centre of excellence for bariatric surgery and diagnostic imaging. Karen Knapp, associate professor of musculoskeletal imaging at the University of Exeter, said: “X-rays are an extremely important diagnostic tool, and radiographers do their utmost to minimise the risk to patients. “However, our findings highlight the implications of increased radiation doses in severely obese patients. To create an X-ray image, radiographers project radiation-ray photons through the body. The dose differs depending on the body part and the size of the patient. It takes a higher dose to project through an abdomen than a chest, and higher doses are needed for larger patients. The radiation excites body tissue and potential harmful effects are linked to changes in the doses used in diagnostic imaging. However, the higher the dose, the more likely it is to cause damage to cells. For this reason, radiation doses are kept as low as reasonably possible and all imaging is only requested where it is needed. But there are no currently guidance around how to minimise radiation doses in obese patients, and the researchers believe this is needed to minimise risk of cancer exposure in this group. 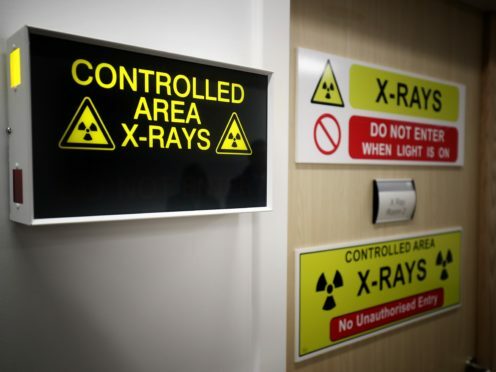 Lead author Saeed Al-Qahtani, a PhD student at the University of Exeter, said: “As a researcher and a radiographer, I believe these radiation doses figures are only to be expected due to the lack of guidelines to aid imaging this group of patients. “As well as the doses of radiation given to the patient, many technical factors contribute to the image quality of an X-ray. Study co-author Richard Welbourn, a consultant bariatric surgeon at Musgrove Park Hospital, said: “Patients should not be put off having the X-rays they need to investigate disease as they are often crucial in getting the right treatment. The study, Increased Radiation Dose And Projected Radiation-related Lifetime Cancer Risk In Patients With Obesity Due To Projection Radiography, is published in the Journal of Radiological Protection.